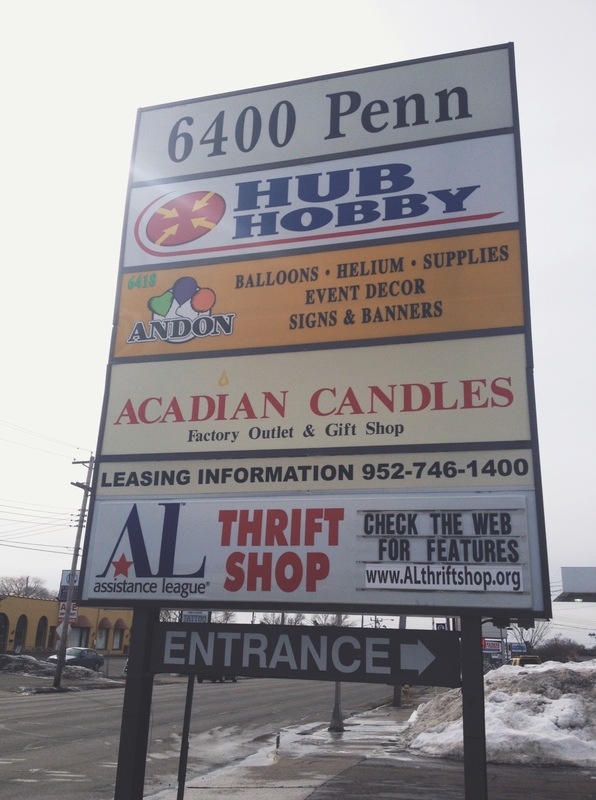 They say good things come in pairs, and if you need evidence, just drive down to the 64th block of Penn Avenue where you’ll find two wonderful thrifts—my beloved ARC’s Value Village and the star of this post, the Assistance League (AL) Thrift Shop—separated by just a stone’s throw. Though it’s more modest in size and lighter in inventory than Value Village, there’s plenty of good reasons to not skip over it! ♥ Art work: There’s a reason the volunteers at the AL Thrift Shop put the artwork right up at the front of the store…it’s usually really freakin’ good. Curated (and priced) by a retired art teacher turned volunteer, everything from gorgeous oil landscapes to one-of-a-kind screen prints to vintage posters to beautifully framed photos is priced fairly (which doesn’t always mean cheaply). ♥ Designer labels: I’m not a huge label scout, but as some of you probably are, you may want to consider the array I noticed during my last visit: Burberry, Lilly Pulitzer, St. John, Ungaro, Ann Taylor, Dayton’s (vintage, obvs), J. Jill. Generally speaking, the clothing, in both style and size, skews to a more mature audience, as in, my mom would have a freakin’ hey day shopping here. ♥ Table linens: Another category with a surprisingly slim selection. ♥ Furniture: It’s just no their wheelhouse. While I’ve noticed a couple cherry pieces there over the years, this wouldn’t be my go-to spot if I was after a dresser, bed, bookshelves, etc. Where does money raised at this store go? Staffed entirely by volunteers, proceeds from the store support the Assistance League’s philanthropic programs, which include providing new school uniforms for disadvantaged kids, one-on-one tutoring for second graders who are struggling with reading and providing assault survivor kits to emergency rooms around the metro area. Also, donated merchandise that doesn’t wind up for sale at the shop is given away to people in need via a partner non-profit. You can learn about all nine of AL’s charitable outlets here. Do they take credit cards? Yes! Do they accept donations? Yep, and you’ll get a coupon if you do! Do they have a mailing list? You betcha, and it comes out each week. Don’t miss the 30%-off coupon good on any one item up to $50 that’s in each one. They’ll honor it if you pull it up on your phone! Sign up here or in-store at the laptop next to the checkout. Pro tip: Clothing at the AL Thrift has a 12-week lifespan, meaning that if you wait long enough, whatever item you’re coveting will inevitably drop in price. Throughout the floor, you’ll find discount racks, but if you head all the way to the back, that’s where the 75%-off section and $1-10 bargain racks are. While you’re in the area: Head across the street to ARC’s Value Village of course! And on the weekends, keep an eye out for estate sales happening in the ‘hood. I’ve had good luck in that little nook of the city! If you pay the Assistance League Thrift Shop a visit, I’d love to hear what you think. This entry was posted in Store Reviews and tagged Richfield, store review, thrift-store review, thrift-store shopping, thrifting by highplainsthrifter. Bookmark the permalink. Thanks so much for your review of our store. So glad you appreciate our amazing selection of art and designer clothing. We truly want to our customer to feel like we are the Neiman Marcus of thrift stores, with clean merchandise and special housewares and art at beyond reasonable prices. Thank you again, amy stark, thrift shop team member. I always find some hidden gem whenever I stop by this place, and it is a delight compared to the other hectic thrift stores.